If you are new here you may not know that I have a bit of a s’mores obsession. That ooey gooey combination of marshmallow, chocolate, and graham cracker is one of my favorites! I mean, I have almost 100 S’mores Recipes on my S’mores Pinterest board! This S’mores Lasagna will be number 99! 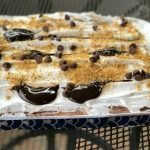 This S’mores Lasagna Overnight Refrigerated Treat recipe has been floating around in my mind for a while now. It finally came out last month when my son’s in-laws were visiting from Michigan. We had a nice Sunday lunch after church and then we went out to the back porch to enjoy the beautiful, warm January afternoon. We enjoyed our dessert out there. 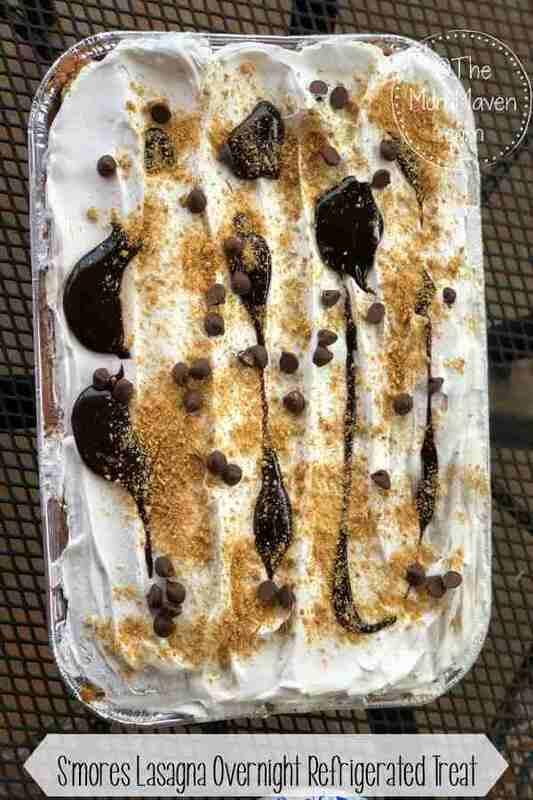 Everyone loved the S’mores Lasagna Overnight Refrigerated Treat and most everyone asked for seconds! This dessert is light and fluffy and not nearly a gooey as I thought it would be. I was heading out of town the next day so I sent the leftovers home with Savannah because her dad and brother promised to finish it off. In a medium bowl mix together the milk and instant chocolate pudding and place it in the refrigerator to set up. In the bowl of a stand mixer, using the paddle attachment, combine the cream cheese and Marshmallow Fluff until smooth. 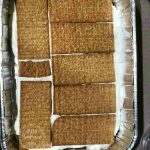 Line the bottom of a 9×13″ baking pan with graham crackers. Spread 1/3 of the marshmallow mixture on top. Cover with a second layer of graham crackers. Spread 1/2 of the remaining marshmallow mixture on top of the graham crackers. Add another row of graham crackers. Gently fold the chocolate pudding, 2 cups of Cool Whip, and 1/2 cup hot fudge sauce into the remaining marshmallow mixture. Spread the chocolate marshmallow mixture over the graham crackers. Add the final layer of graham crackers. Spread the remaining Cool Whip over the dessert. Cover and refrigerate overnight, at least 8 hours. Before serving, garnish with hot fudge drizzle, a sprinkle of crushed graham crackers, and chocolate chips. Warm up the hot fudge just a bit, so that it is easier to pour. Oh my! How sweet it is! 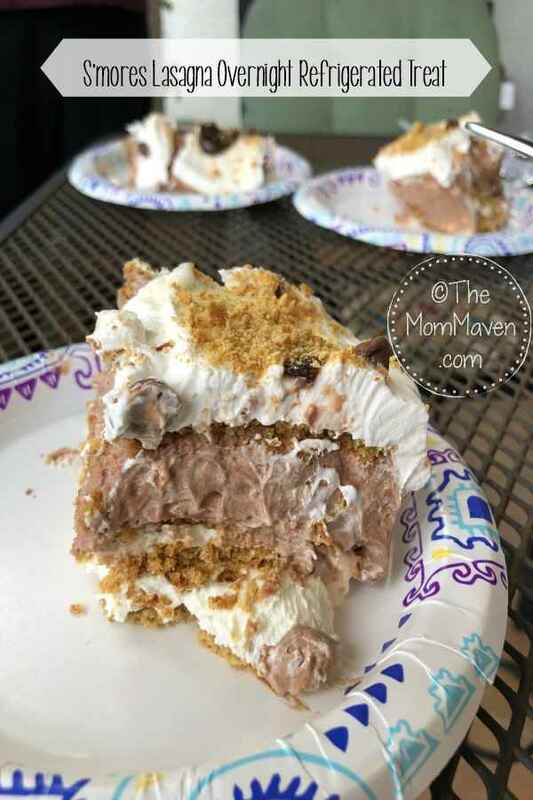 S’mores Lasagna, would be great for many special occasions, or just a nightly snack.